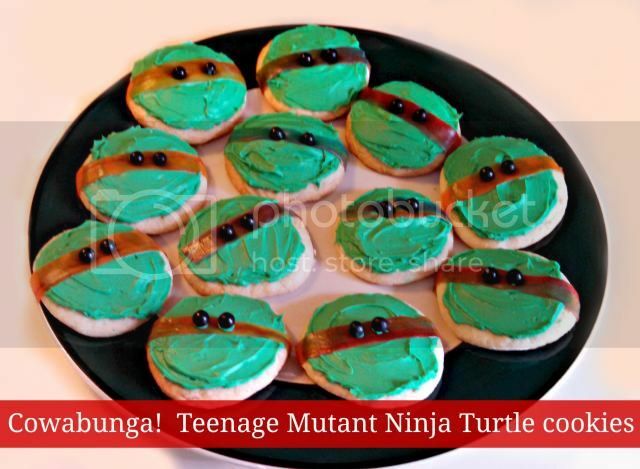 Every good TMNT movie viewing needs to have cookies! 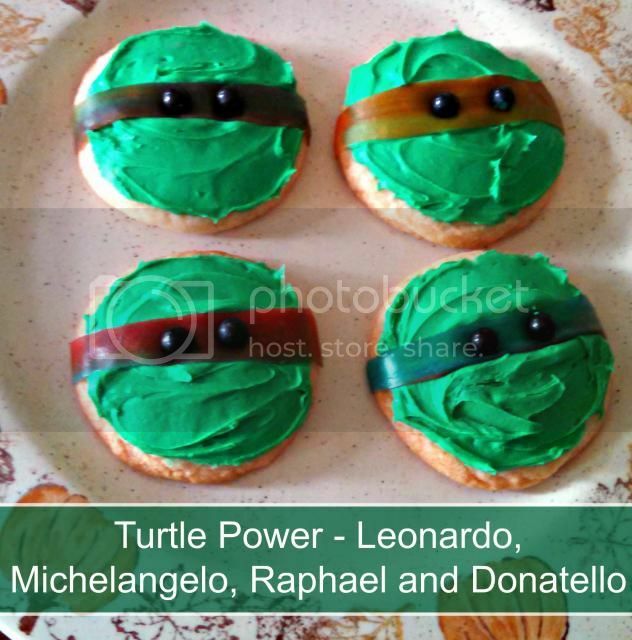 Looking for a simple fun treat kids of all ages will love then check out these cookies. 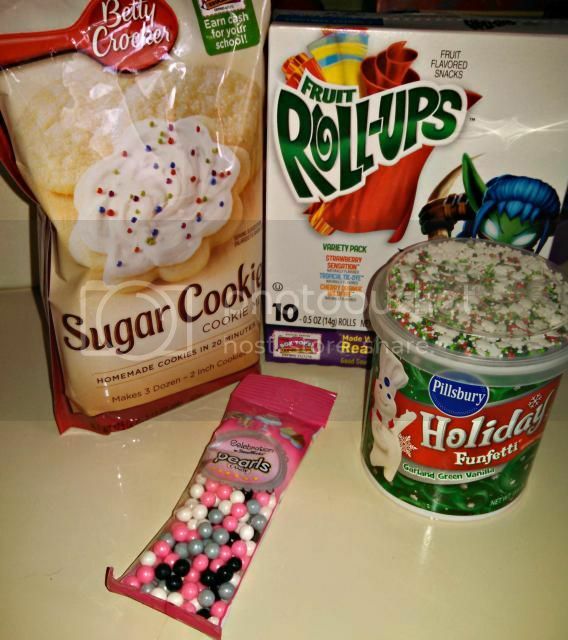 All you will need is a sugar cookie mix (+ ingredients), green frosting, fruit roll ups and candy nonpareils for eyes. Follow the instructions on the cookie mix and bake. Once cool frost cookies with green frosting. I used a multipack of fruit roll ups, so the colors were a little tie dyed. Using kitchen shears I cut the masks out and place on the frosting. Next I used the little black candies (bag was $1 in baking section at Wal-mart). Apply a small amount of frosting to the candy and place on the mask! Viola! Instant turtle!